Creator-Destructor Records today issues Second Edition, the soaring new album by Ventura, California-based fantasy metal warriors GYGAX. 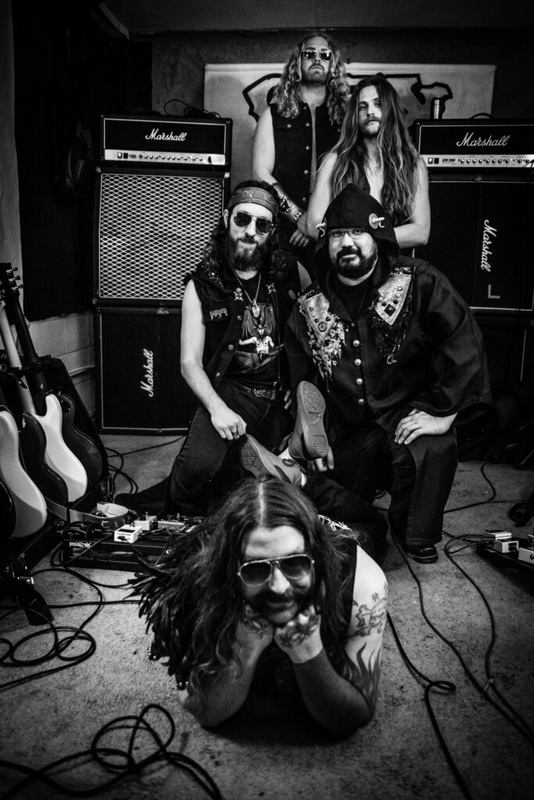 Drenched in equal parts influence from Dungeons & Dragons and Thin Lizzy, the album showcases top-notch musicianship and unavoidably infectious grooves, and the band continues their ongoing West Coast tour supporting the record as it makes is public arrival. Comprised of former and current members of Gypsyhawk, Skeletonwitch, Sorcerer, Huntress, Warbringer, Mantic Ritual, Pentagram, and more, GYGAX picks up where their 2016-released Critical Hits debut left off, the eight tracks that comprise Second Edition showcasing the band’s unrivaled and potent tendency to create absolutely anthemic rock ‘n’ roll hits, chock-full of hip shakin’ grooves and twin guitar explosions. Second Edition was recorded in November of 2017 with Scott Goodrich at Nu-Tone Studios in Pittsburgh, California, and features the always incredible artwork of Fares Maese. 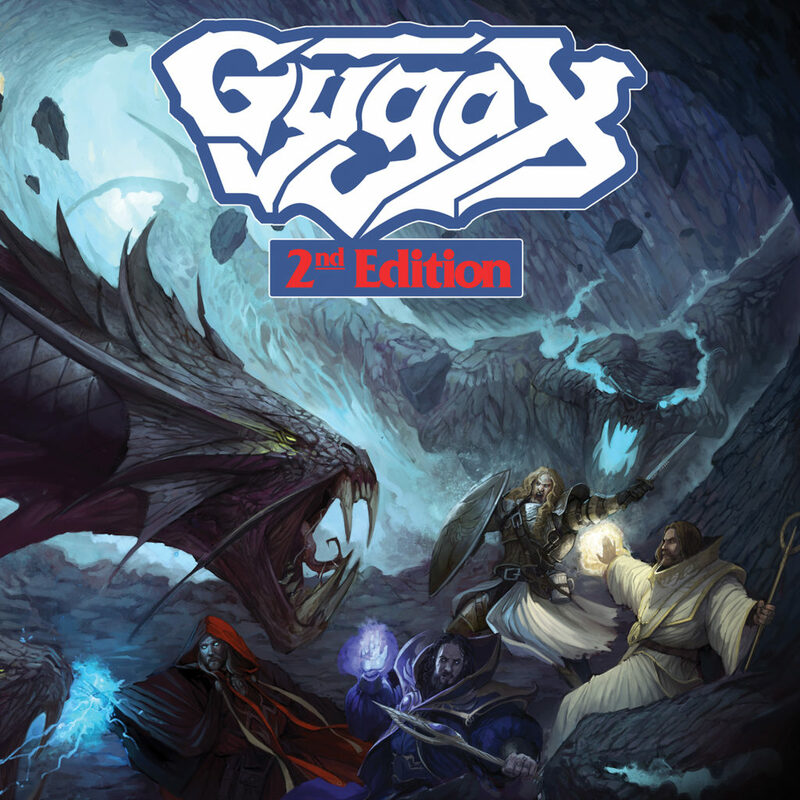 Tune in and crank up GYGAX’s Second Edition at Creator-Destructor RIGHT HERE. Already more than a week in, GYGAX continues their Second Edition West Coast Tour in support of the album. The final two shows of the venture take place tonight in Nevada City and tomorrow in Los Angeles. Watch for additional tour dates to be announced. GYGAX features vocalist/bassist Eric Harris formerly of Gypsyhawk, Skeletonwitch, and Sorcerer, who is also currently also filling bass duties in Huntress, and his Gypsyhawk partner-in-crime, guitarist Bryant Throckmorton. Jeff Potts, previously of Warbringer and Mantic Ritual, joins on the other six-string, and rounding out the lineup perfectly is current Pentagram drummer Peter Campbell. 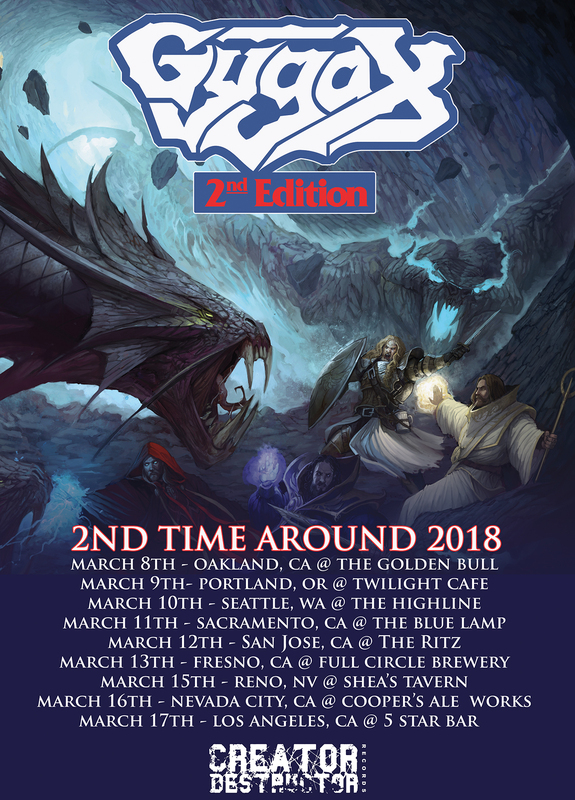 Second Edition sees GYGAX carrying on their unique blend of unadulterated vintage hard rock and gamer-centric imagery. Named after Gary Gygax (and blessed and approved by Gary Gygax Jr.), the band continues to showcase their love for Dungeons & Dragons, Thin Lizzy, and ‘70s boogie-fueled metal and classic rock – a deadly infectious sonic offering measured in equal parts by Eric Harris’ thematic lyrics of magic spells and fantastical characters.